Social Services provide compassionate and individualized social work services to patients and families, promoting justice and access to services, and help to locate resources. The social services staff assess the cultural, social/emotional and community needs of patients to provide the appropriate intervention. They partner with community agencies and patients to offer resources, treatment plans, and long-term care. The Social Services Department exists to address the psychosocial aspects of health care including health care access; discharge planning; safety related to abuse, neglect, violence, and chemical health; case management and continuity of care; advocacy; grief, loss, and adjustment issues; crisis response; caregiver education and support; and patient and intern/resident education. These services are provided to all inpatient areas of the hospital, except psychiatry, and all outpatient areas except psychiatry and acute psych services (social services in those areas are provided by their own social workers). The professional chaplains here at Hennepin Healthcare are committed to addressing your spiritual and emotional needs. Our mission is to provide sensitive support to you and your family during your stay here. We recognize that your struggle with illness or injury may initiate a spiritual struggle as well. So, we are here to walk with you through your journey—while respecting your culture, religion, value system, traditions, and the faith community. Ask your nurse or physician to page the on-call Chaplain at 336-0410. An on-call Chaplain is in-house Monday through Friday 8am-11pm & Saturday and Sunday 8:30am-9pm. For immediate needs all other times, page the same number and a chaplain can come within half an hour. If you can wait, leave a message at 612-873-2260. The newly renovated Spiritual Center is located in the Red Building, Level 2 Skyway, adjacent to the Medical Library Services. 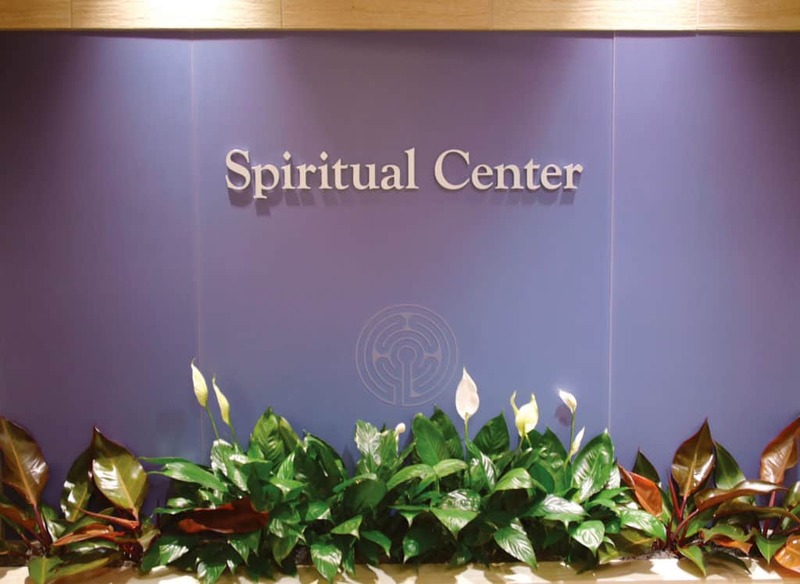 The Spiritual Center is open 24 hours a day for patients, families, and staff. The Center is a spiritual space open for people of all faiths and no faith, for prayer, meditation, and quiet time. For more information, contact the Spiritual Care Department at 612-873-2260.
www.compassionatefriends.org – Links to local chapters of "Compassionate Friends"
www.unspokengrief.com – Unspoken Grief is a safe place to share and learn about the impact of miscarriage, stillbirth and neonatal loss. www.irisremembers.com – Infants remembered in silence; a website offering support, education, and resources for parents experiencing the death of a child. http://facesofloss.com/ – Putting a face on miscarriage, stillborn and infant loss.